Taking a quick detour during Avengers Week, here is my review for The Five-Year Engagement. We all know how romantic dramedies go (Romantic Dramedy- a film that crosses the genres of romantic comedy and drama), and how they all tend to end. Predictably. The majority of you may be able to figure out where this film goes. It’s the journey there that makes it fun. But, what you may not realize is just how long it takes to get there. The Five-Year Engagement is a pretty decent film that shares a look at a relationship and some rather realistic issues that face couples all over the world…the compromises of a couple in the name of love. The Five-Year Engagement, unfortunately though, drags on for almost as long as its title implies. Here are FIVE things to enjoy about The Five-Year Engagement. She’s pretty much a perfect TEN! In this film, she really does encapsulate the emotions and struggles you’d expect from a person in her predicament: In a dedicated relationship and stuck between her dream man and her dream career in academia. She plays the part believably and quite magnificently. 2. 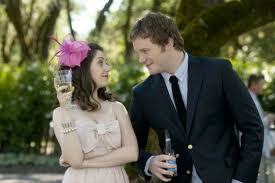 Chris Pratt and Alison Brie. This dynamically hilarious duo (Tom’s friend Alex and Violet’s sister) stole the show whenever they appeared on the screen. From rehearsal dinner speeches to wedding singers, they really brought the laughs. They had me laughing so much throughout. 3. Rhys Ifans (soon to be seen as The Lizard in The Amazing Spider-man). His performance in the film is fun, interesting, and slightly underrated and lost amid the collection of characters in this film, but he really is a part of the film that I quite unexpectedly enjoyed. 4. The life-like representation of a relationship that has its ups and downs, much like everyone’s. The movie appropriately shows the reality of the conflicts that hit so many relationships now as it is now super-common for both parties in a relationship to be involved in careers. 5. A Cookie Monster and Elmo conversation, and more of Judd Apatow’s brand of adult comedy that, while usually remains an acquired taste, is exacted superbly in this story adding the right amount of flair and enjoyment to the film. 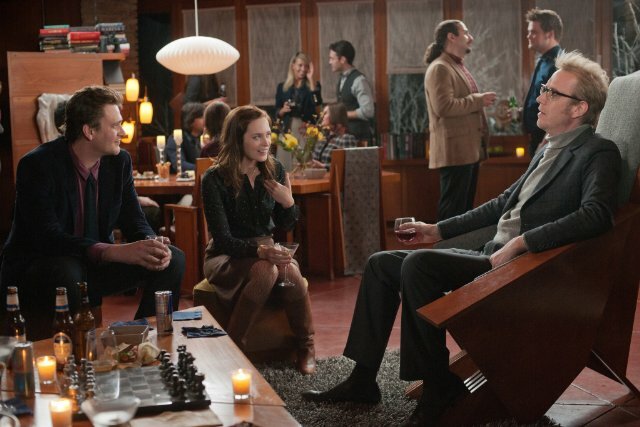 Smiles and laughter abound amid the awkward scenes and excruciating events. All good reasons to enjoy the film. However, here are FIVE things you may have to ignore to truly enjoy it. 2. The film is drawn out at times. With a running time of just over 2 hours, the film seems to drag in certain spots. I found myself wondering how much longer they would be doing the same song and dance back and forth before getting to an expected ending. 3. The infusion of multiple stories/characters tends to be a bit much, slightly overcomplicating the story. Didn’t even know Kevin Hart and Rhys Ifans were in this movie until I saw them on-screen. And was that Kelly Kapoor from The Office? Whaddya know? It sure was! 4. 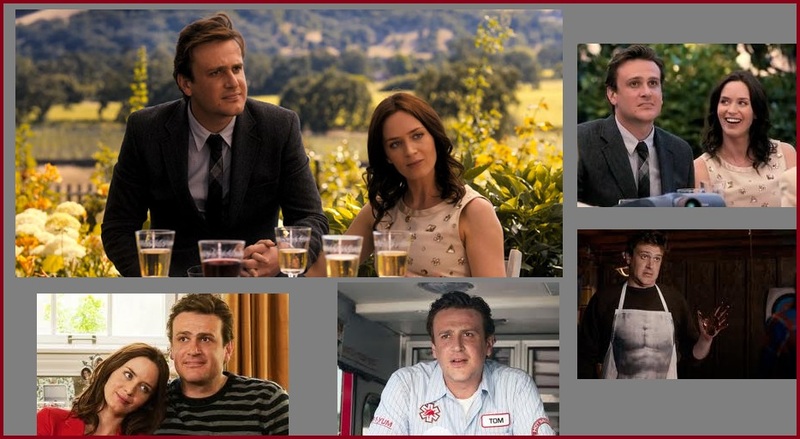 Jason Segel’s single-expression face regardless of what is going on. Always the same. Mad, Happy, Sad, etc. Observe. No Oscars here. 5. The added complication of additional relationship problems, compounded by rival siblings/friends, in addition to dwindling numbers of grandparents, on top of the challenge of career choices and relationship choices seemed to really pack on the possibilities to seem slightly improbable (not impossible, mind you). Adding to the “drawn out” statement above, all the aspects tossed together create more drama than necessary to get the story moving along. Fun Fact: Several of the scenes in the trailer are actually not in the film. I liked the fact that it made it seem spoiler-free! up next: continued look at AVENGERS WEEK! 5 years of engagement to Em? I would be married to her in about…. 5minutes!! DING DONG!! I know, right?? Thank You! Me too. Forget the 5 years! Em, we gettin married NOW! Thanks for the 5 things lists! I think I’m going to wait for rental. Great review, T! Totally agree with basically every point. Emily Blunt is radiantly charming ALL. OF. THE. TIME. And that Elmo/Cookie Monster scene…honestly, I thought that was inspired. Would love to know how long that took to shoot because they did an excellent job of making it seem like one continuous shot. The passage of time thing is a great point, too. I’m usually not a fan of the, “8 Months Later” text popping up on screen but if nothing else, that would have helped a little here. and I, too, want to know about them shooting that Elmo/Cookie Monster scene! Thanks for commenting on my review. Appreciate you looking in. Although this film doesn’t really interest me I do like Emily Blint so it is nice to see her film career progress. For that reason I’ll have to see how she gets on in this but that may wait until the DVD arrives. Worth a watch, really. Thanks Dan. I hope you see it soon and I will be interested in what you gotta say about it. what’s your favorite Emily Blunt movie? You will really like this one because of her. Hmm, all I’m hearing is mediocre-ness about this film. Think I’ll wait it out for TV. 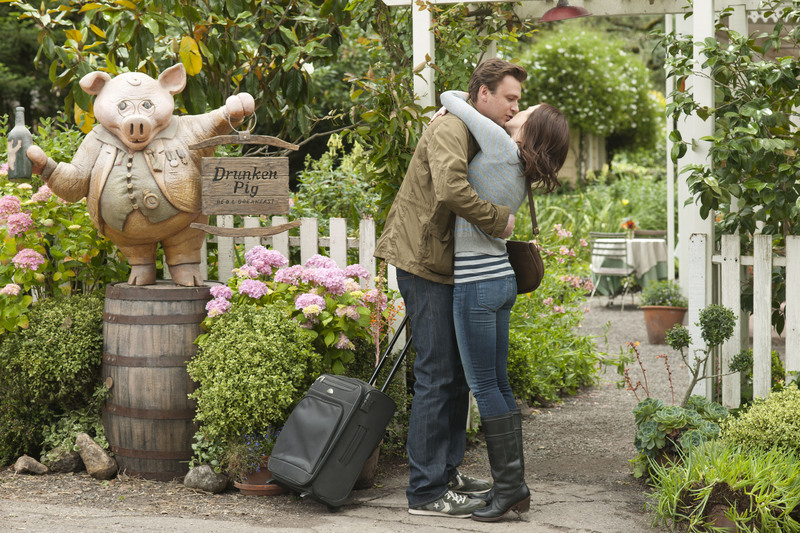 I love Jason Segel and adore Alison Brie. To hear that she’s one of the best things in this film makes me insanely happy! But … not happy enough to shell out for it.